Caterpillar "BT" Spray (safe biological insecticide) - This biological insecticide contains the bacillus thuringiensis (BT) bacteria which kills larva and prevents caterpillars from being able to eat. 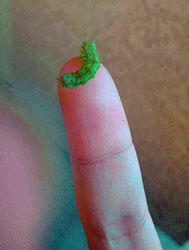 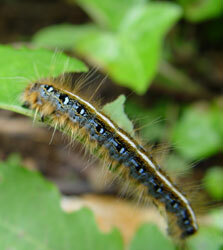 This is one of the most effective ways to kill caterpillars, and won't hurt most beneficial insects. 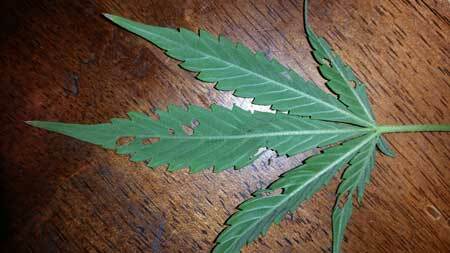 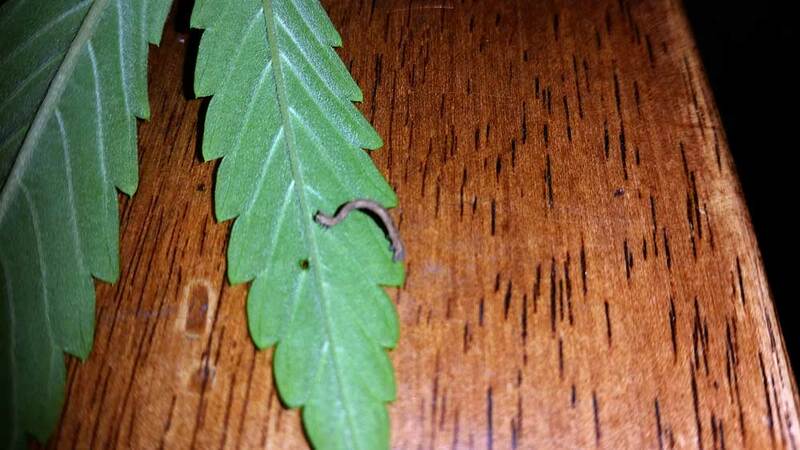 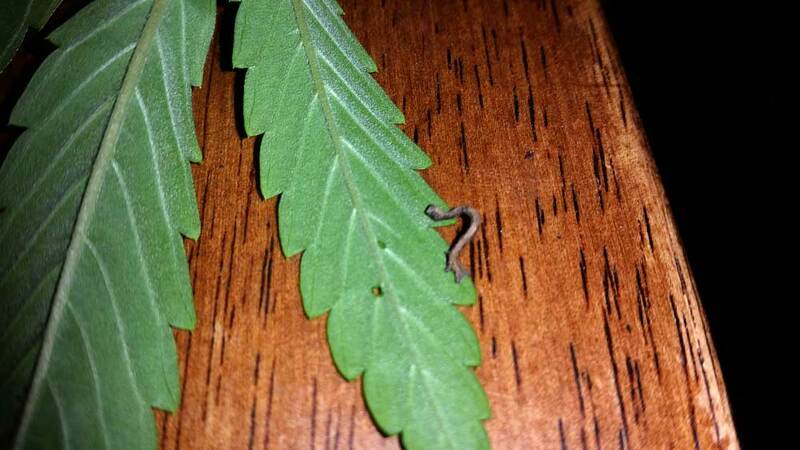 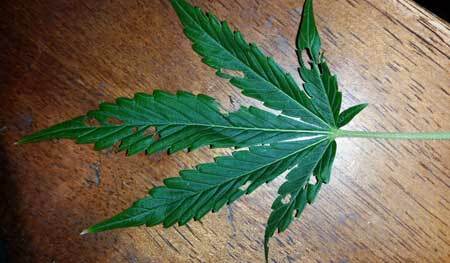 As a bonus, it also kills other cannabis pests like fungus gnats, worms and moths. 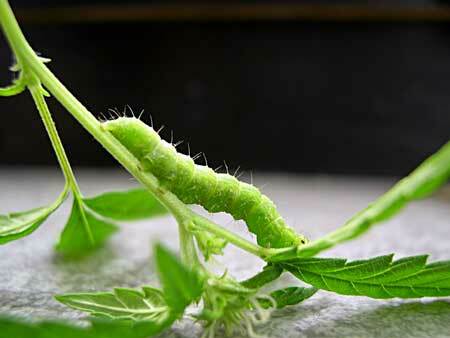 Spinosad Products (safe & organic) - Although not as effective against caterpillars as a BT product, Spinosad can be a good choice, especially if your plants are also suffering from other insects like aphids, spider mites, thrips or white flies since this will attack all of them at once. 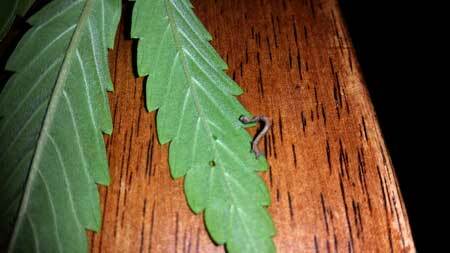 Spinosad products are organic and completely harmless to pets, children, and plants. 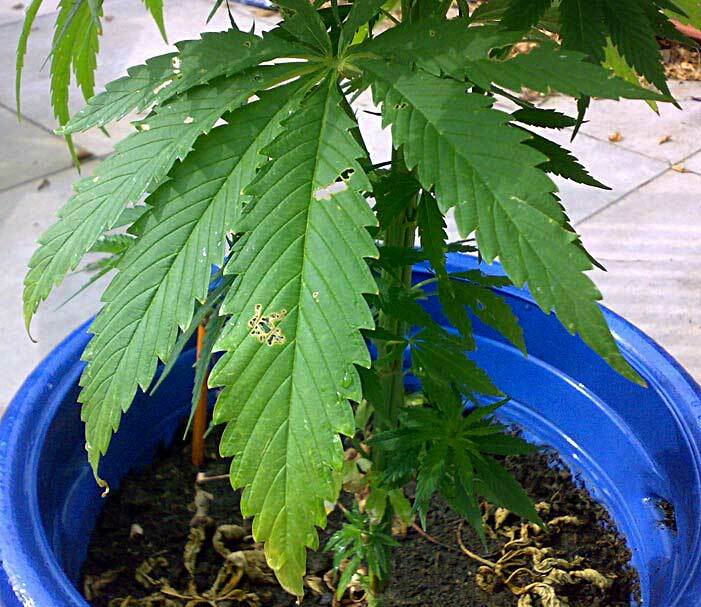 Unlike many insecticides, you can spray properly diluted spinosad heavily on leaves and roots with basically no negative effects. 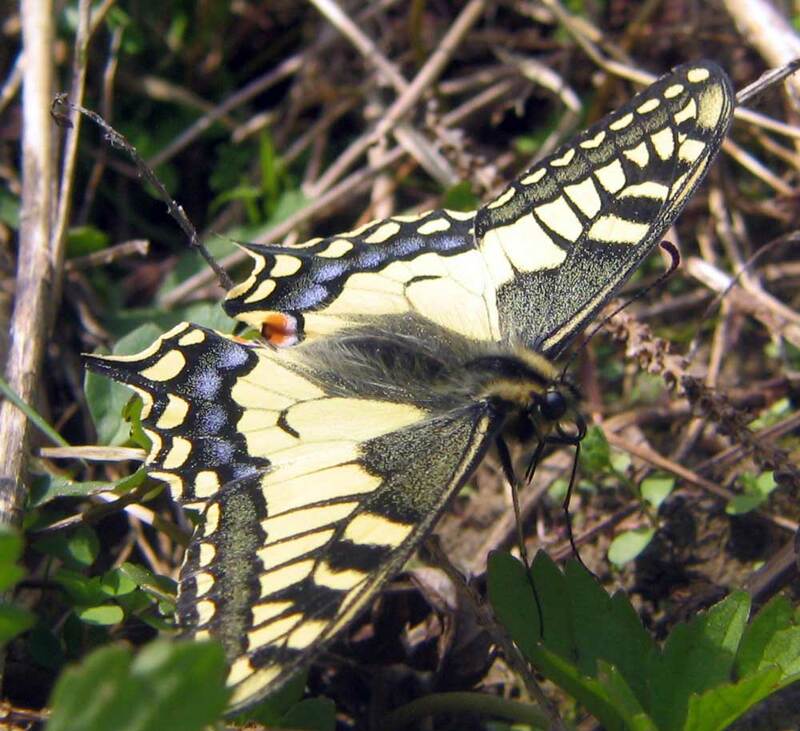 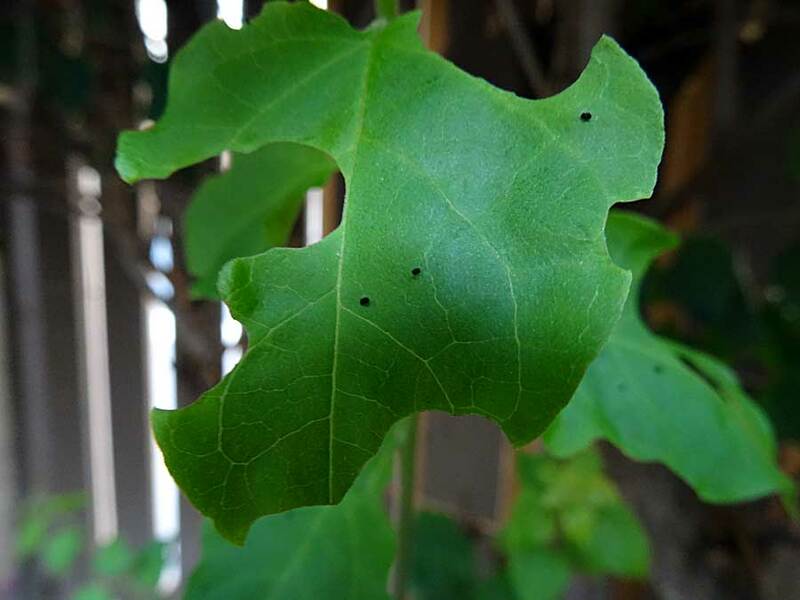 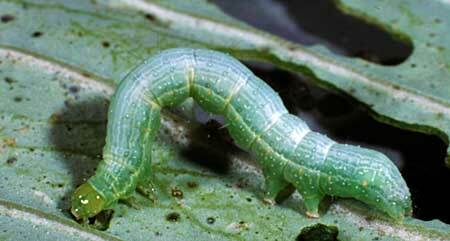 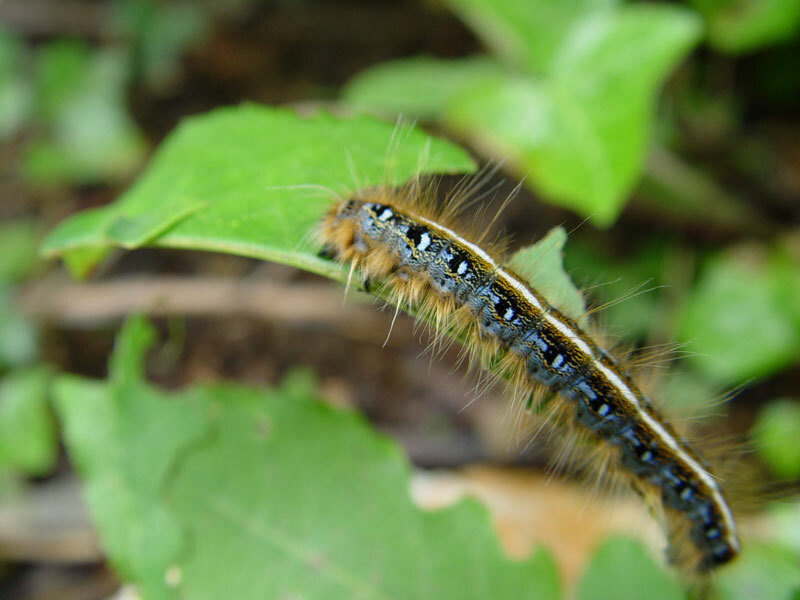 Spinosad products can be used directly to kill caterpillars on contact, but can also be used when watering plants to systematically kill caterpillars via the soil.